Fionna Carlisle (b. 1954) lives between Edinburgh and the Island of Crete, an environment that infuses her work with colour, light and vitality. 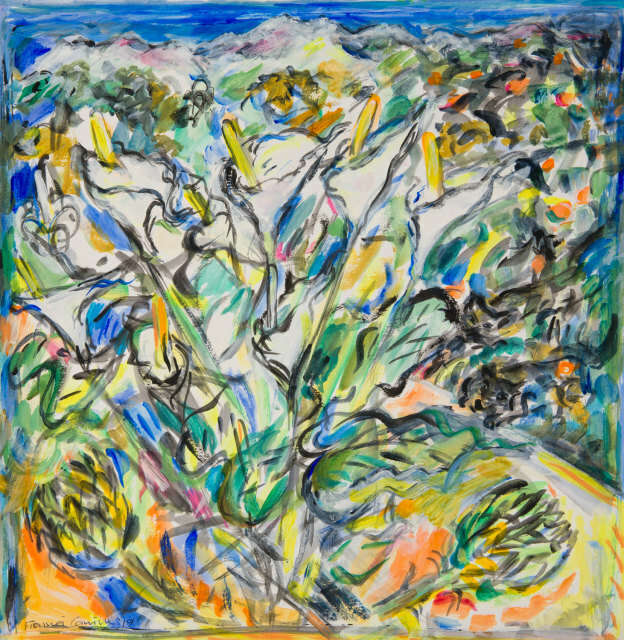 Inspired by people, flora and landscape, her paintings share a sense of bold exuberance and rhythmic intensity. Carlisle’s immediate response to her subjects through drawing is the foundation of her compositions. Fionna Carlisle was born in Wick, in the far North of Scotland and studied at Edinburgh College of Art. She has worked and exhibited in the UK, Europe and the USA.